Sony has officially ended production of its PS Vita games console. The handheld console has been gradually phased out over the past few years - and this weekend Sony announced it would be discontinuing the Vita's final two models. The PS Vita struggled against rival devices as well as a surge in the popularity of mobile gaming. With no plans for a successor, games critics say a Sony version of the successful Nintendo Switch is unlikely. When the PS Vita launched, in Japan in 2011, it initially sold well. Independent research company Strategy Analytics reported sales of 300,000 units in the Vita's first week. But these figures dropped sharply. Sony is estimated to have sold only 10-15 million units in the Vita's entire lifetime. In comparison, Nintendo's Switch console has sold more than 32 million units, only two years after it first went on sale. "Now that the PS Vita has officially reached the end of its lifecycle, I think it's time to admit that Sony's handheld console was a bit of a misstep," says Nathan Spendelow, from the technology website Expert Reviews. "While the hardware initially represented a turning point for Sony, it struggled to achieve the same level of critical acclaim as Nintendo's DS family of portable gaming systems." The years since the Vita's launch also saw an explosion in mobile gaming, with smartphones and tablets becoming powerful enough to run graphically intensive apps. Although the Vita rolled out with high-profile titles such as Uncharted: Golden Abyss, Assassin's Creed III: Liberation and LittleBigPlanet PS Vita, the beginning of the end came when Sony announced in 2015 that it would stop making its own games for the Vita - deciding to focus instead on titles for its PS4 console. In 2018, Sony said it would cease physical production of Vita games and that 2019 would be the final year the device was manufactured. Even though blockbuster games all but vanished from the console, the Vita "found a niche as a home for indie developers and with Japanese gamers", according to Stefan Langford, editor of games website TheSixthAxis. He cites the Bafta-award winning games Thomas Was Alone and OlliOlli as examples. "They usually weren't exclusive to the Vita but there was something about indie games that often clicked on Vita more than on PS3 and eventually the PS4. It's something we're seeing again with indies flocking to Nintendo Switch," says Mr Langford. But despite its niche appeal, the Vita ultimately failed to live up to Sony's expectations, he adds. "It certainly comes as no surprise that the PS Vita has finally ended production, ultimately sounding the death knell of Sony's mobile gaming ambitions," says Mr Spendelow. 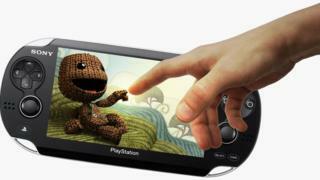 While the PS Vita has been consigned to history, Sony is believed to be readying a new games console. Last year, company president and chief executive Kenichiro Yoshida told the Financial Times that it was "necessary" for Sony to work on next-generation hardware. He declined to say whether this machine would carry the name PlayStation 5.